Kamare Pierce-Arrington has dedicated her life to inspiring and encouraging the lives of students. She believes that every child should be given the opportunity to learn. Although all children are capable of learning, it is important to understand that every child is uniquely designed. Therefore, their education should be uniquely designed to meet his/her needs. A native of Alabama, Ms. Pierce-Arrington has worked in some capacity with students for over 15 years. She currently holds a valid Georgia and Alabama certification for grades PreK-8. Ms. Pierce-Arrington received a bachelor’s degree from the University of Alabama at Birmingham in Elementary Education, a Master’s Degree in Early Childhood Education from Georgia State University, and a degree in Educational Leadership from Nova Southeastern University. As the Chief Executive Operator of Lighthouse Tutoring and Enrichment and the founder of Pierce Legacy and Properties LLC, Ms. Arrington has been a valuable asset to the Atlanta-Metro community. With ten years of experience in classroom instruction with Fulton County Board of Education, she is a highly qualified teacher. She has a large knowledge base and deep understanding of national and Common Core State Standards. Ms. Arrington has also taken an active role in translating, developing, and implementing the Common Core State Standards. She is a strong advocate for exceptional children rights, enrichment programs, and performing arts. Kamare’ Pierce-Arrington has also delivered new teacher symposiums, provided professional development courses, and served as an editor for the Association for Childhood Education International. 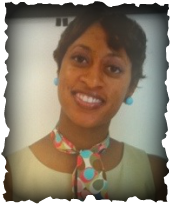 Her areas of expertise include educational curriculum, classroom management, mentoring, and parent consultation.